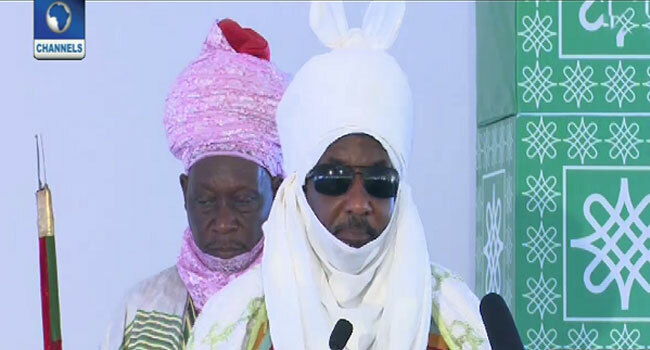 The Emir Of Kano, Emir Muhammad Sanusi II has emphasised the importance of state governors in national growth and development saying, development is now driven by cities and not by the Federation. Speaking in Kaduna, during the commissioning of an integrated Feed Mill and Poultry valued at N150million, the Emir said state governors need to encourage private investment in their states as they are far more important wheel of development than the Federal Government. “The governors are far more important wheel of development in Nigeria than the Federal Government. The only way to bring development to the grassroot is for every governor to go out internationally and locally, encourage private investment and create jobs in the state. “This is not to say the Federal Government is not important, just as I am pleased to see the Governor of Central Bank and the Ministers here. Clearly, the state operates with a macro environment. “So, constant dialogue and constant discussions between state and the Federal Government to create the right environment for the governors to go out and seek investment is essential for the development of this country,” he said.